With Serbia winning the 2010 Davis Cup, Roger Federer winning the World Tour Finals the end a rough year on a happy note while Rafael Nadal, despite the loss to Fed remains no.1 in the world after a sensational year, we take a look at the biggest earners in the history of men’s tennis, from 80’s legends like Becker and Edberg, through the 90’s with Sampras and Agassi to Nadal and Federer today. Recently dropped to 10th by Djokovic, Ivanisevic, who played on the ATP tour from 1988-2004 won only 1 Grand Slam, in 2001, at Wimbledon, the only player there as a wild card. 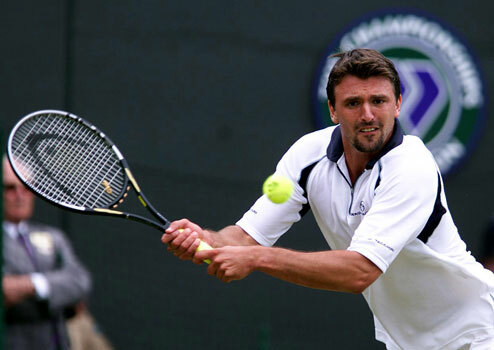 Ivanisevic, besides being one of the more popular players on tour during his tenure among the world’s elite will be remembered for his super strong serve, one of the strongest and best ever. 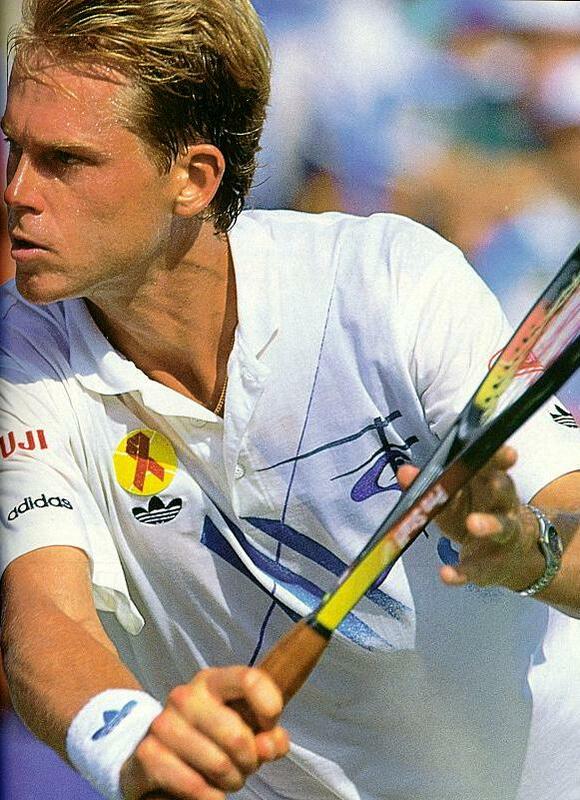 He reached three more Wimbledon Finals (1992, 1994, 1998) but lost. He won 22 singles titles, two of them in Masters tournaments. One of three active players on the list, Djokovic finished 2010 with a big smile on his face, leading Serbia to a 3-2 Davis Cup victory over France. He reaches his third career Grand Slam Final, losing to Nadal at Flushing and grabbed two more singles titles. Djokovic has one Slam title, 2008 in Australia, 31 Singles titles, five of them in Masters tournaments. He was also a finalist in the 2007 US Open. The only player to receive both player of the year and doubles player of the year awards, Edberg was arguably the best player in the world during the late 80’s. He won Six Grand Slam titles – two at Australia, two at Wimbledon and two at New York. 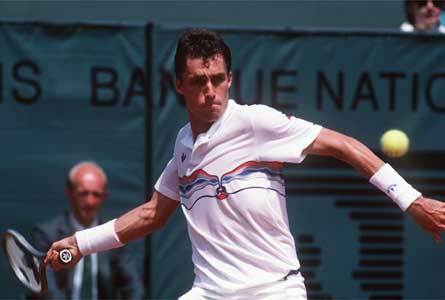 He missed the Career Grand Slam in 1989, losing to Michael Chang at Paris in the French Open. 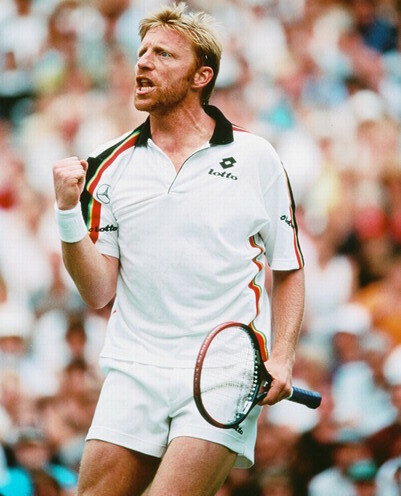 He had a fantastic rivalry with Becker at the Wimbledon finals, meeting for three consecutive years, with Edberg winning twice. He lost five times at Slam finals and finished his career with 42 singles titles. The most dominant player in Tennis during the second half of the 80’s, Lendl is probably the father of “Power-Tennis” with his base line mastery and unmatched fitness and strength at the time. He never won at Wimbledon, losing two finals there, probably hurting his legacy and status on the all time lists, but 8 Slam titles (2 Australia, 3 French, 3 US) and 94 singles titles overall aren’t something most have on their CV’s. 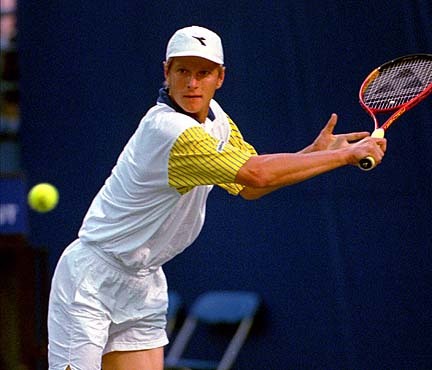 Like Edberg, the tall Russian was a fantastic doubles player, winning four Slam titles as a doubles player but he was a pretty good singles competitor as well, winning two Grand Slams (1996 at Paris, 1999 at Melbourne) and losing in the 2000 Australian Open final. 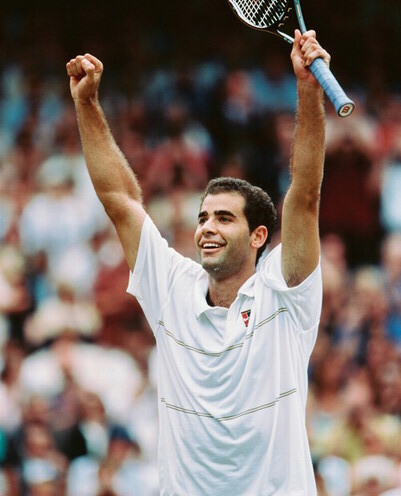 In 1996 he won both the singles and the doubles grand slam, the last man to win both in the same tournament. He won 26 singles titles, including 7 Masters tournaments. The youngest Wimbledon winner in history (17 and 7 months), beating Kevin Curran in 1985, the first of his three Wimbledon titles and six Grand Slams overall (two Australia, one US). Becker also lost four times at the Wimbledon finals where he is and probably always will be one of the all-time favorites with the fans. He won 49 career titles, none of them on clay, where he never found any comfort. Too much of serve and volley player I guess. 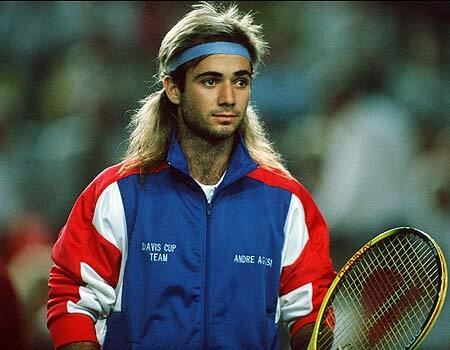 I’m not a huge fan of Agassi, and I won’t put him on my top 10 greatest list. Still, thanks to his longevity and his ability to change his game throughout the years and his exceptional return game, Agassi finished his 20 year career with eight Grand Slams, including a career grand slam finally achieved in 1999. He won 60 singles titles and is the only player in the Open era to win all four grand slams, the Davis Cup, the Olympic Gold medal and the World Tour Finals, the year ending tournament. On his way to greatest ever? Still early, but a couple of more years like this and Federer will be rather worried. Rafael Nadal conquered in 2010, winning three Grand Slams, including the US Open, becoming the 7th player in history to complete a career grand slam. The questions surrounding his health and fitness have disappeared, and a loss to Federer last week won’t ruin it for Rafa who is without a doubt the best player in the world today. Right now his records stands at 9 grand slam titles, losing in only two finals (both to Federer at Wimbledon), 18 Masters titles and 43 singles titles overall. Greatest ever? Probably not, at least I don’t think so, but he had about a decade to enjoy the crown of the greatest ever. Winner of 14 Grand Slam titles, including 7 Wimbledon titles, 5 US Open wins and two at Australia, second most behind Federer. He never really found success on clay, making the Roland Garros Semi final once in 1996 and winning only 3 titles on clay throughout his 12 years on the pro circuit. He won 64 career titles and was able to dominate against his biggest rival, Agassi, beating him four times in their five Slam finals. Unlike Sampras, Federer doesn’t really dominate the record books when facing his nemesis, Rafael Nadal, but he has been at the top of the game or near it for almost a decade now, and pretty much ruled with an iron fist, decimating most records facing him while playing what might be the best tennis ever seen. The bottom line – A career grand slam, 16 Grand Slam titles, the most ever if you’ve forgotten, 23 consecutive grand slam semi finals and a total of 22 grand slam finals. More than anyone else. 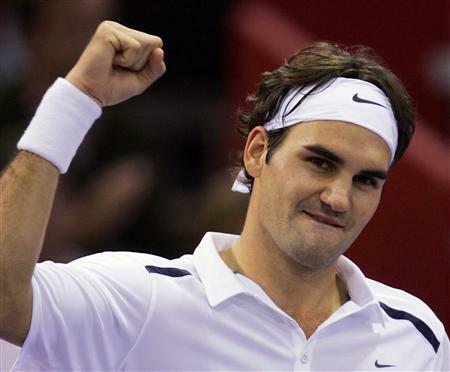 He has 66 singles titles which is fourth on the all time lists and is the only player to stay on top of the rankings for 4 years (February 2, 2004 – August 17, 2008).